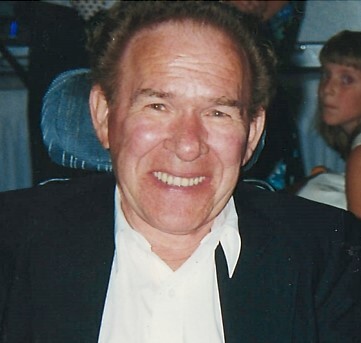 Obituary for William Bland | Thompson-Marodi Funeral Home, Inc.
William Nolan Bland, 88, of Bentleyville died Saturday, January 19, 2019 at the Mon Valley Care Center, Monongahela. He was born January 17, 1931, a son of Alvin L. and Martha Ann Shipman Bland in Huron, Missouri. He was a Sargent First Class in the U.S. Army and served during the Korean War. Mr. Bland was a member of Local 66 Operating Engineers in Pittsburgh and the F&AM Lodge 237 in Beallsville. Surviving are his wife, Ruth Ann Rukas Bland; four children, Stephanie Bland Cole (Greg) of Bentleyville, Anthony W. Bland of Mars, Jason Bland (Melissa) of Bentleyville, and Jillian Bland (Rick) of Blainesburg; and five grandchildren, Abigail Cole (Jordan), Hayden Bland, Jeremy Bland, Avery Bland, and Addison Bland and brother-in-law, Loren Rukas (Lisa). Friends are welcome from 2 to 4 and 6 to 8 p.m. Tuesday at the Thompson-Marodi Funeral Home, 809 Main Street, Bentleyville, 724-239-2255, where a service will be held at 11 a.m., Wednesday, January 23, 2019, with the Pastor George Lammay, officiating. Interment will be Thursday, January 24, 2019 in the National Cemetery of the Alleghenies, Bridgeville with military honors by the Bentleyville American Legion Post 165 and the U.S. Army.